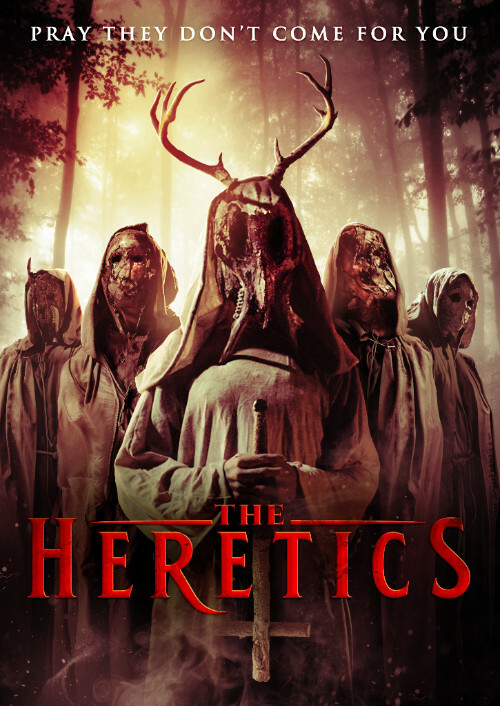 From director Chad Archibald, and in the tradition of "Cabin in the Woods" and "Hereditary," comes "The Heretics" on demand November 6 from Uncork’d Entertainment. A young woman (Nina Kiri of ''The Handmaid's Tale'') is abducted by a strange man who claims that a cult is hunting her. His goal is to protect her until sunrise but while restrained, she falls deathly ill.
As her friends and family search for her, the source of her illness becomes more and more apparent. She's not sick…she's changing. From Black Fawn Films, the award-winning and celebrated Canadian horror machine behind the "Antisocial" series, "Bite" and "Let Her Out," comes a film that's "part cabin-in-the-woods thriller, part psychological puzzle, and part demonic possession battleground" (iHorror). 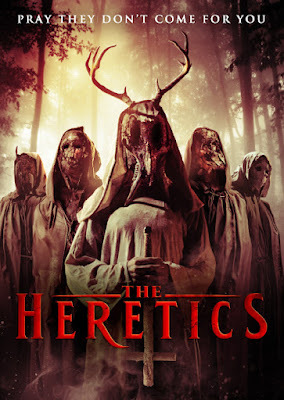 Nina Kiri, Ry Barrett (Lifechanger), and Jorja Cadence star in "The Heretics" available on Demand November 6 and DVD January 5 from Uncork’d Entertainment.